Get open and honest insights on your product performance. Engage your customers in a smart feedback process, in-app and all along their journey with you. Get to know your product through your users' eyes. Improve what's needed, when needed. 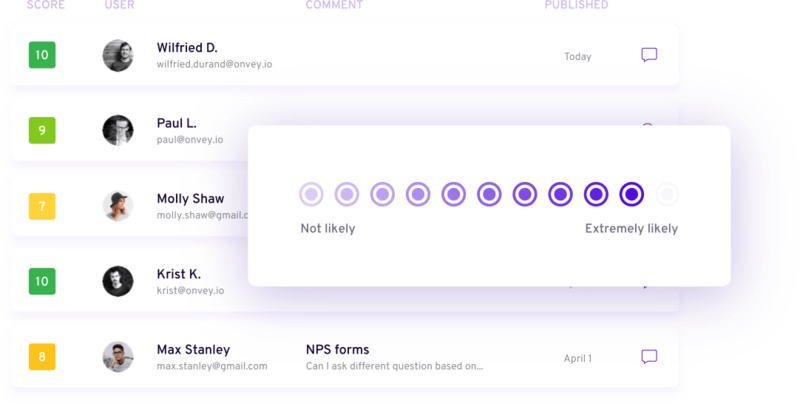 Build your product prioritization based on your customers valuable feedback. Business success through data-powered confidence. 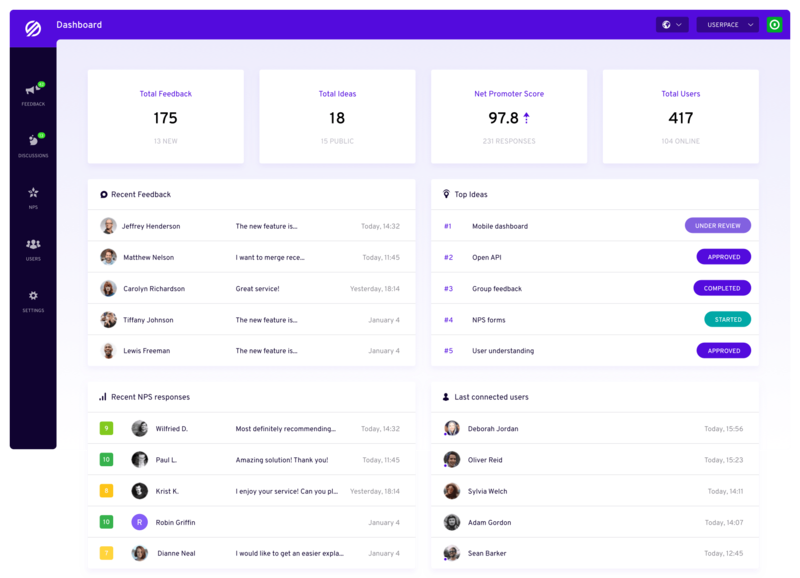 Gather and manage user feedback from your network. 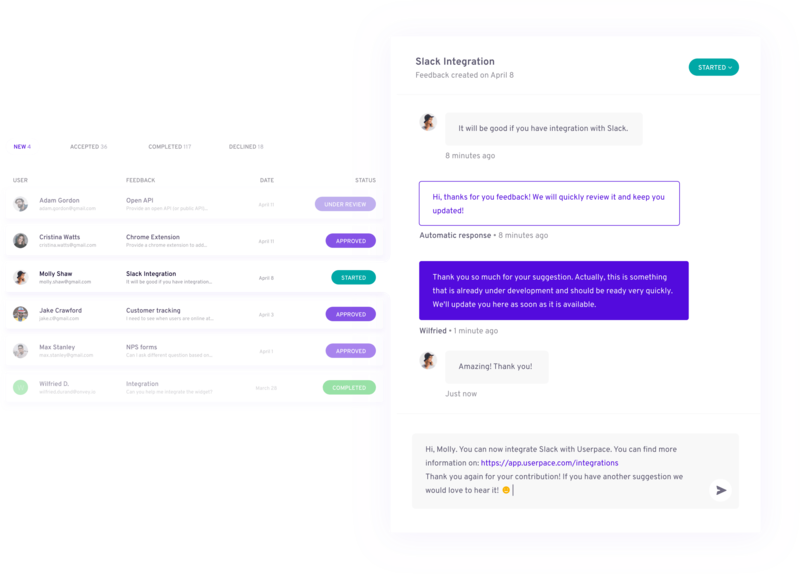 Connect to your customers in 1-to-1 private correspondence. Measure your user's satisfaction with your services. Survey your users on their loyalty, find ambassadors and turn detractors. Get the most of your customer's experience. Effortless feedback collection and product roadmapping. Get real insights and take safe product decisions that will guarantee a ROI. Measure user's experience and features adoption to improve your conversion. One channel to handle all your team and user's feedback. Push public proposals to test your customer's interest.